The Cloud Incubator Hub started its second edition of activities on Thursday 27 September. 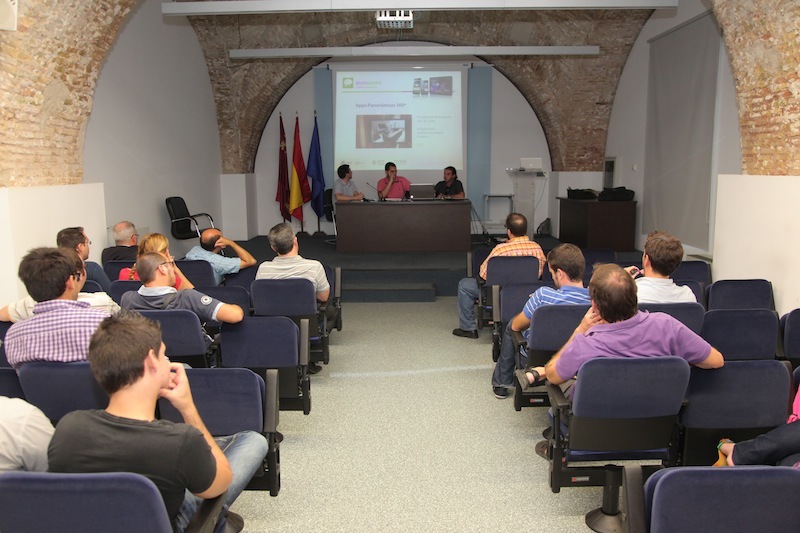 This edition’s first Cloud Afterhours was held at the Auditorium of the School of Telecommunication Engineering of the Polytechnic University of Cartagena. The head of Cloud, Andrés Iborra, presented the results obtained in the first edition, in which 25 entrepreneurs participated, establishing a total of ten start-ups that are successfully developing smartphone applications. Andrés Iborra also explained what the second edition of Cloud Hub Incubator, in which over sixty tech entrepreneurs have registered, will consist of. He explained about the mobile nature of the Cloud Afterhours activities, which will bring his lectures to different universities in the Region of Murcia, such as the Faculty of Informatics at the University of Murcia. The list of entrepreneurs who will participate in the second edition will be announced in the coming days and an ideas workshop will be created that will allow participants to showcase their projects. Subsequently, several training workshops in programming languages will be created in order for participants to create applications for smart phones or for creativity purposes. Two of the teams participating in the event were formed as start-ups in the first edition, and they are now successfully working, such as the Braingapps and Mileyenda teams.